Reverse logistics is already a fast-growing element of manufacturing and distribution, but lacks the wider understanding it deserves. As a result, many businesses that are unwittingly executing on reverse logistics are missing an opportunity to make it a smooth, efficient and potentially profitable part of their business as they would expect from other process areas. While the term itself might seem fairly recent, the concept was first coined by James R. Stock in 1992 in a white paper of the same title published by the Council of Logistics Management. By 1999 there was a “Reverse Logistics Association” that was published in this space too. As we know, logistics normally includes the manufacture of products from parts and raw material and all the events that bring the product to the customer, right up to the delivery truck pulling into the driveway. 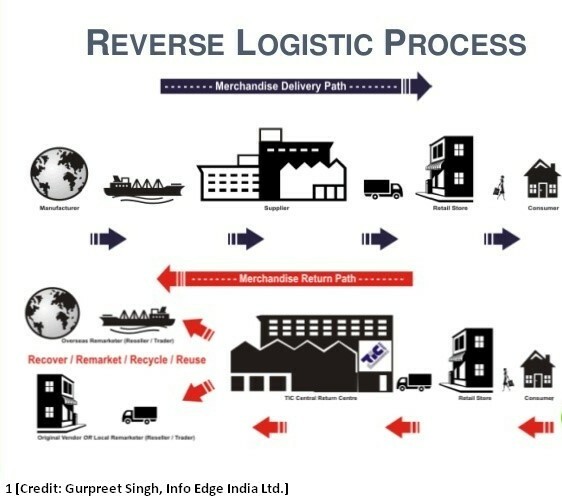 Reverse Logistics, however, is any process that involves the “resource” (product, part, raw material, packaging, etc.) going at least one step back in the supply chain (it could be the customer returning to the distributor, or a manufacturer returning waste product back to a supplier to be re-processed into new raw material or parts. There are a number of ways your business could embrace reverse logistics, we’ll review a few of the most common ways Reverse Logistics is being implemented. Our bet is that your business is already doing some of these things, but may not be approaching it in a formal way and consequently may be missing some of the benefits you could be deriving from it. Part of what is making businesses start paying attention to Reverse Logistics is the benefits, which are growing as the move towards green supply chain management accelerates. Some of the reason for this is regulatory – the requirements for taking back old products for recycling, for example – but much of it is a net positive as it is based on a “source reduction” approach to materials and packaging that generate large savings up front in exchange for increased investment in the returns and recycling process. The “greening” of the supply chain also yields positive changes to Brand value, something that larger, global brands measure as part of their valuations. There are four basic categories of product returns – retailers and manufacturers each get both sold and unsold items. For retailers, the main source comes from consumers who purchased items and return them for credit or exchange. This is a common process that all of us are familiar with as consumers ourselves. For manufacturers, products can come back because 1) they were defective 2) they were unsold 3) or were sold, used and returned as part of a recycling program. For retailers, returns are almost exclusively products returned from customers. A method to provide better service by responding to the issue BEFORE it is returned (usually assembly, use, missing parts, etc.) and resolving it so as to avoid the return entirely. An improved feedback loop regarding defects and features by getting the feedback directly from the customer rather than a translated version of it through a potentially untrained retailer. Direct customer access that improves the understanding of your target audience. Returns come with a cost of course. The American Productivity & Quality Center (apqc.org) has done research showing that businesses that have implemented formal processes for returns and refurbishing have higher costs in these areas than those who don’t, but that data belies a simple truth – those who don’t end up paying MORE in other hidden costs – lost sales, scrap, customer churn (from not being able to handle returns or having poor returns policies). Some estimates put the average cost of returns to be about 4% of the total cost of logistics. If accurate, it is a small investment to make in return for a big return (either as savings or increased sales). One common solution is the use of 3PLs for returns in addition to using them for the outbound processes. Companies like Tradeport, a dedicated service that takes your returns directly from customers (under your name) and sells them back into the marketplace, making the entire process effortless and simple. This aspect of Reverse Logistics is one of the simplest to adopt, but also one of those least likely to be recognized as “reverse logistics”. Basically, anything that involves using reusable containers that go out and back into the distribution point or manufacturing plant fall under this category. They basically required a closed-loop logistics system which is common either for a manufacturer transporting between sites, or back and forth with a supplier or distributor. Pallets are probably one simple example that is almost universal. 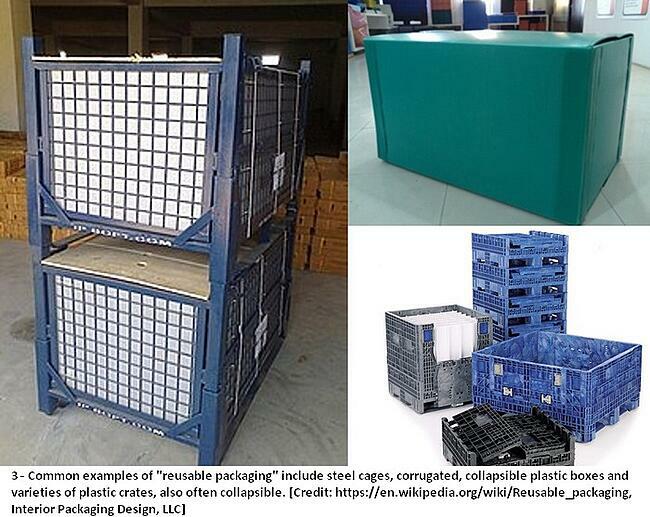 The use of “pallet pools” where pallets are inspected and sometimes refurbished for extended usage is growing, as is the use of plastic pallets. Other common “packages” we all know and love include the modern shipping container – which as we all know revolutionized logistics, but by nature also revolutionized reverse logistics too. Bulk goods, dry or otherwise, are commonly moved in reusable containers. And the automotive industry, in particular, uses heavy-duty racks for shipping large parts (hoods, fenders, engines, dashes, etc.) that are returned and use over and over again. Repair: Because some portion of returns can come from damage, it pays to fix damaged goods to re-integrate them into available inventory at the warehouse or back to distribution for resale. Remanufacturing: The use of new, repaired or reused parts to rebuild the product in order to meet the original product specifications, and repairing or replacing obsolete or worn out components. We see this at our car dealer, but also see the end-product of this category in many appliances and electronics devices sold at retailers. 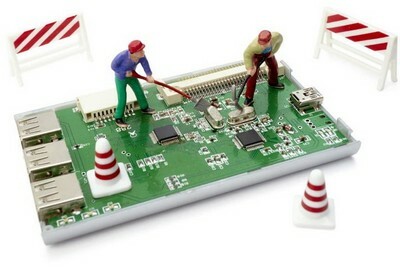 Refurbishing: Is the process of improving old or updated products to meet new specifications and standards. What is often labeled as “refurbished” in the consumer world is sometimes more accurately described as “Remanufacturing”. In this case, we differentiate by the requirement to basically “upgrade” something to the new specifications or standards, not reproduce the original ones. Cannibalization: Something that may not always be associated with Revere Logistics, but the recovery of usable parts and pieces from a used, damaged, or discontinued product to facilitate the remanufacture or refurbishment of others certainly is a key element. Recycling: In this case, is the re-use of materials or parts from another product or sub-assembly to create a new product or refurbish others. Undoubtedly you will find a certain amount of Reverse Logistics taking place in your facility. The next step is to quantify it, document how it is currently being done and then work from there.